Finding a new heating and air conditioning system is no easy task, especially during the hottest and coldest months of the year. When your system is on its last legs, you can trust Anytime Heating & Cooling to provide affordable solutions and an outstanding A/C unit installation in Atlanta. Our dedication starts from the moment you call us for a free consultation. Our expert staff provides you with an accurate evaluation of which services you’ll need to fix your A/C problem. We know a new A/C system can be an overwhelming purchase, but our Anytime staff is here to ease the worry so you can focus on getting your home or business cooler as soon as possible. Air conditioning systems are investments but getting one doesn’t have to break the bank in order to operate efficiently. Our new high efficiency systems reduce utility costs all for a price you can afford. Contact our office for more details on paying for your new A/C system. Our work is 100% satisfaction guaranteed and the equipment we install and service is backed by manufacturer warranties. Move into the 21st century with a new and improved way of controlling your heating and air conditioning system. Anytime Heating & Cooling provides state-of-the-art thermostats and home comfort monitoring solutions. We install and service multiple brands, including NEST® and Honeywell, which allow you to control the comfort level in your home from smartphone. Program your heating and cooling system to run only when you’re home so you’re maximizing savings across the board. Our experts will recommend the right thermostat depending on if you’re at home or away at work. Our thermostats are loaded with useful features that allow you to save money while staying cool. While you might be feeling relieved with the savings a new A/C system will bring, there’s even more to get excited about. The installation of your new air conditioning and furnace system often qualifies for Federal and/or Georgia state tax-credits. Even your utility company may offer incentives to assist in offsetting the cost of your investment in energy efficient products. Contact your local utility company for details. Don’t settle for shoddy maintenance that leaves you calling for more repairs. Call Anytime so we can give you the best Air conditioning repair & service with the best products available in the Atlanta area. 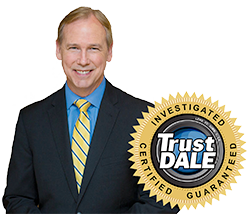 For a free consultation to get your new A/C system replaced or installed, call us today at 770-504-5881.